“Laser” is an acronym for light amplification by stimulated emission of radiation. A laser is created when the electrons in atoms in special glasses, crystals, or gases absorb energy from an electrical current or another laser and become “excited.” The excited electrons move from a lower-energy orbit to a higher-energy orbit around the atom’s nucleus. When they return to their normal or “ground” state, the electrons emit photons (particles of light). 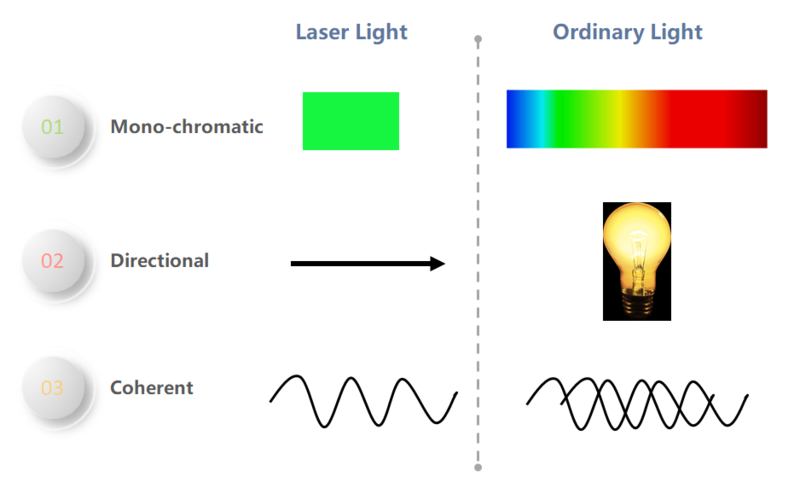 Laser light is different from normal light in other ways as well. First, its light contains only one wavelength (one specific color). The particular wavelength of light is determined by the amount of energy released when the excited electron drops to a lower orbit. Second, laser light is directional. Whereas a laser generates a very tight beam, a flashlight produces light that is diffuse. Because laser light is coherent, it stays focused for vast distances, even to the moon and back. At the moment, there are two popular classification systems, the old version used before 2002, and a “new version” that is part of the revised IEC 60825 standard and ANSI Z136.1 standard. Since 2007, the new version has been accepted by the FDA for importing lasers into the United States. Our lasers are bright and sometimes too bright for pointing purposes. If pointing is your major application, stick to the laser pointers in the lower power output range. Our handheld and portable lasers are not laser pointers and are not suitable for pointing, especially indoors. Below table list suggestions for power outputs for pointing for each color of lasers we offer in the laser pointers. *If a visible laser beam in darkness is required for your application, we suggest purchasing green or blue laser in a respectable power range. Please note that the beam of a 5mW violet or red laser is not visible in darkness. If burning is an attribute you’re looking for in a laser, we recommend the powerful burning laser pointer( >500mW). We’re not going to cover what items a powerful laser pointer can burn and t you explore the possibilities. Popular items to burn with a powerful laser pointer seem to be balloons, electrical tape, matches, paper, and wood, however, we assure you that lasers can do quite a bit more. If we can reduce the area of a laser’s end spot, ideally into a pin-point, we can increase intensity making a laser more capable. Our focus-adjustable lens does exactly this by generating a focal point outside the laser. This feature in addition to the already incredibly high power outputs make these lasers extremely capable, a device that can be potentially dangerous if handled incorrectly. This is more reason to always wear laser safety goggles while handling our powerful laser pointers. 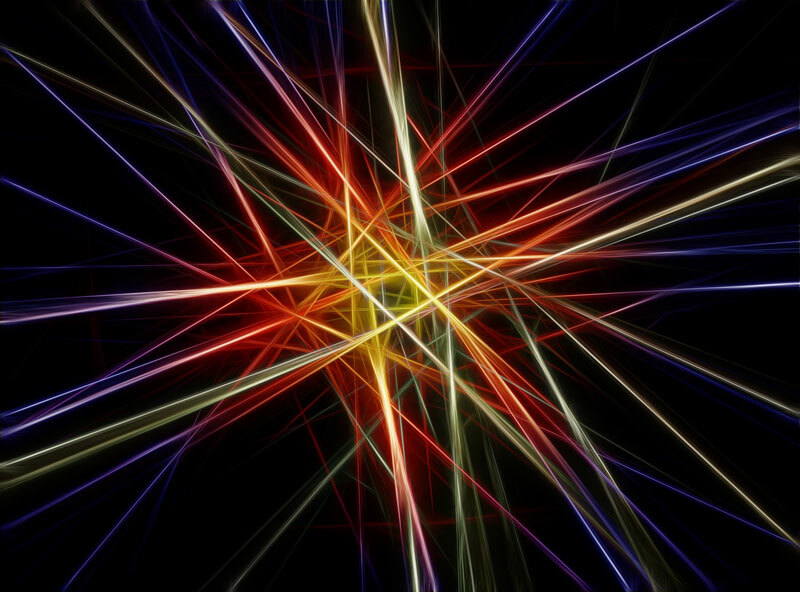 *As a laser is just a beam of light, the item that a laser can burn must be black or dark in color. This is because darker colored objects absorb light whereas lighter colored objects reflect it.